How Do I Replace a Maytag Quiet 200 Dryer Belt? It's easy to discern when your Maytag dryer is in need of a replacement belt. There will normally be a startling thud followed by a tumbler that no longer rotates your wet clothing. The only way to fix this is to replace the non-operational dryer belt with a factory replacement. The process for replacement is quick and straightforward; it does not require a repairman. From beginning to completion, you should have an operation replacement belt in less than thirty minutes. Turn off your Maytag and disconnect power to it, either by flipping the current switch or simply unplugging it. Use your Phillips-head screwdriver to remove the screws securing the lint trap. Pull out the lint trap. Unhook the door harness latch. Use a Phillip-head screwdriver to remove the four screws that hold the front panel of your dryer in place. Take off the front panel of your Maytag. 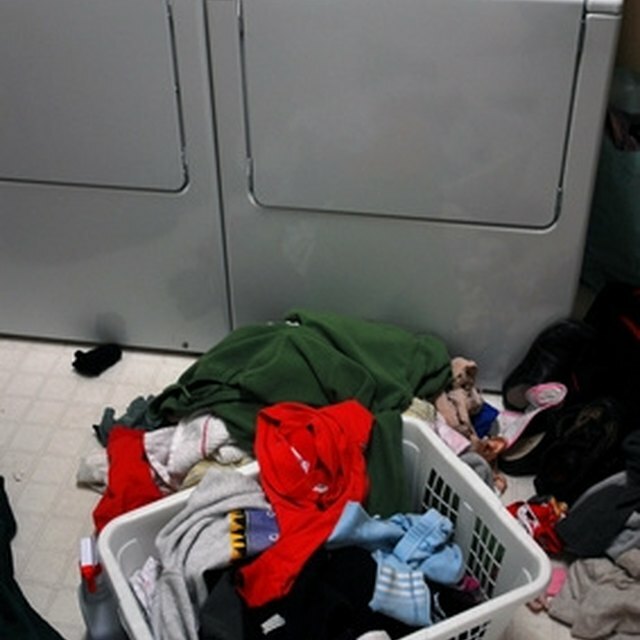 Remove the broken dryer belt by peeling it away from the notches in the tumbler. Guide it around the idler and pull it off of the front motor pulley, then the remove it from the rear motor pulley. Keep record of the order as the reverse will be required to it install the replacement belt. Lodge a wooden block below the tumbler to secure it in place as you put in the replacement belt. Fit the new belt in place around the rear motor pulley notches, and then affix it to the front motor pulley. Thread the remaining, final segment of the new dryer belt past the idler and fit it to the tumbler. Secure the front panel back on your Maytag. Reach inside the dryer and rotate the tumbler manually one full counterclockwise rotation to tighten the new belt. Refasten the door harness latch. Replace the lint trap. Reconnect electrical current to your Maytag and check for correct operation.